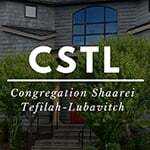 Erev-Shabbos Farbrengen in the CSTL Social Hall. Kiddush Lite. A delicious meat cholent will be made by Rabbi Mendy Levitin, sponsored by Yitzchok and Liz Rothman in honor and in memory of the 20th yahrzeit of Mark Dykan (Mordechai Ze'ev ben Yaacov ZT”L), 4th of Cheshvan. Seuda Slishit Lite. Come hear the true life experiences and perspectives Israeli soldiers, Aviv and Chen. SEPHARDIC DAY AT THE J - SUN. OCT 21 11am-2pm. This Shabbos comprises several elements: It is Shabbos parshas Noach; it falls out on the 6th of Cheshvan; it follows Shabbos Bereishis; and it precedes the 7th of Cheshvan. Consonant with the Baal Shem Tov’s teaching that everything provides lessons for man’s service to G‑d, each of the above elements in Shabbos parshas Noach provide a directive. First of all, it follows Shabbos Bereishis, on which starts the principal service of the entire year — “Ya’akov went on his way.” “Ya’akov” is singular tense (not “the children of Ya’akov): went (in Hebrew “holach”), is singular tense: and “his way” is also singular tense. Thus, although this Scriptural phrase is applies to all Jews’ service to G‑d, each is his own particular way, emphasis is laid on their unity “Ya’akov went on his way , “ singular tense, all Jews as one entity. Unity in the service of “Ya’akov went on his way,” which begins after Shabbos Bereishis, has greater emphasis on the Shabbos following Shabbos Bereishis (Shabbos parshas Noach), for Shabbos itself emphasizes unity among Jews. Our Sages say that although on weekdays an am ha’aretz (ignoramus, boor) cannot be trusted if he says he has separated terumah and ma’aser from his food, on Shabbos however he does not lie — and a Talmid Chacham can then eat from his food. Thus on Shabbos a Talmid Chacham and an am ha’aretz are united. Furthermore, on Shabbos the world is elevated from the level of speech to the level of thought. Speech is a “garment” separate from the soul, it being directed to someone else;and without another person present, speech is unnecessary. Thought on the other hand is a “garment” united with the soul. This is the reason why a person’s thought is continuouslyworking, whereas speech does not. Since thought is united with the soul, then, just as the soul and its vitality are continuous, so too is thought. In our case, since on Shabbos the world is elevated to the level of thought, the idea of unity is stressed. Since unity is emphasized on Shabbos, it is the appropriate time to hold a farbrengen — for it too expresses the unity of Jews. The Alter Rebbe said that a Chassidic farbrengen can achieve greater results than can the angel Michoel, the “great prince” of Yisroel: for at a farbrengen the unity of Jews is actually seen. And this produces greater satisfaction for G‑d than the angel Michoel’s efforts. This is the difference between Sukkos and Noach’s ark: The revelation of the festival Sukkos also affects the world, as we see that on Sukkos seventy bullocks were offered corresponding to the 70 nations of the world. Nevertheless, this was only in regard to the nations, but not to a literal “wolf and sheep.” Moreover, the effect of Sukkos differed between the 1st and 2nd Bais Hamikdosh. In the first, the effect was open — the nations paid tribute to King Solomon; in the second, it was not revealed, and indeed, the Jews were under the rule of the gentile nations. The revelations in Noach’s ark, on the other hand, affected even animals, all living together for a year in harmony — “the sheep together with the wolf.” This was similar to the future promise of “a wolf will dwell with a sheep” — and this is the connection between parshas Noach and the future redemption. Since such a thing (the revelations of the future) once existed (in Noach’s ark), it follows that now it is much easier to effect the future revelation. Moreover, the revelation in Noach’s ark was in a time when the world was in such a low state that they received the punishment of the flood. Certainly then, after Mattan Torah and after the service of Jews throughout the generations, it is now much easier to bring the future redemption. Just as the greatness of Noach’s ark was the result of one man’s service, Noach, so too the individual service of each Jew in Torah and mitzvos hastens the future redemption. May it be G‑d’s will that through our deeds we speedily merit the true and complete redemption through our righteous Moshiach, when the promise “a wolf will dwell with a sheep” will be fulfilled -both literally, and in regard to the nations of the world. Since we ask for rain on the night of the seventh, it follows that the last Jew reached his home during the 6th of Cheshvan, before the night of the seventh. For if not, the rain that would come down on the night of the seventh would impede his journey. This is the importance of the 6th of Cheshvan: It is the very end of the pilgrimage to the Bais Hamikdosh for the festival — for the journey to and fro from Yerushalayim is also part of the mitzvah of making the pilgrimage. Since the 6th of Cheshvan is the end and conclusion of the pilgrimage — and “everything follows the conclusion” — it is the appropriate time for gatherings to be held to strengthen and increase in the good resolutions made in the month of Tishrei regarding service to G‑d in the rest of the year. The strengthening of good resolutions and the rectification of deficiencies must first and foremost be in the mitzvah campaigns: Ahavas Yisroel, Torah, education, tefillin, mezuzah, tzedakah, house full of Jewish books, kashrus, Shabbos and Yom Tov lights, and family purity. In addition to the above distinction of the 6th of Cheshvan (the conclusion of the matters of Tishrei) , it is also the eve of, and preparation to, the seventh of Cheshvan, when we begin to ask for rain. “Rain” symbolizes G‑d’s blessings, for all blessings depend on rain. Moreover, since rain comes from heaven, we see openly that it is something which comes from above (blessings from G‑d). Scripture, concerning the greatness of Eretz Yisroel compared to Egypt, states. “It is not like the land of Egypt ... where you planted seed and watered it with your foot ...:” Instead, “It drinks water of the rain of heaven.” That is, Egypt had to bring water for irrigation from the Nile, whereas G‑d gives rain to Eretz Yisroel. Thus the distinction of the seventh of Cheshvan is that then they started to ask for rain, which encompasses all the blessings of G‑d. Although we begin to mention rain (by saying “He causes the wind to blow and the rain to fall”) on Shemini Atzeres, we do not then ask that rain should actually fall (as explained above, they delayed the asking for rain for 15 days after the festival). Instead, we begin to ask for It to fall on the 7th of Cheshvan. Since “deed is the principal thing,” the principal concept of rain is on the 7th of Cheshvan (and not Shemini Atzeres), for then we ask for the actual rain to come. Moreover, the mentioning of rain on Shemini Atzeres needs a great deal of effort, whereas on the 7th of Cheshvan we ask for rain without any special endeavors. The start of saying “He causes the wind to blow and the rain to fall” is on an auspicious time — Shemini Atzeres; yet despite the greatness of this day, we still need special efforts: Announcement concerning it must be made in the congregation; a special prayer is said; this prayer has a special tune; said by a special chazan; and we answer “amen” three times at its conclusion. On the other hand, asking for rain on the 7th of Cheshvan needs no special effort. It is weekday then, when we are engaged in weekday activities, and we cause rain to fall by simply adding a few words (“Bestow dew and rain for blessing”) in the regular Shemoneh Esreh of weekday! Although the reason we can bring rain on the 7th of Cheshvan without special effort is because we have already effected the idea of rain on Shemini Atzeres, nevertheless, the conclusion of it on the 7th of Cheshvan, when we actually bring the rain, is a much loftier thing — for thereby the matter is brought to perfection. And as mentioned previously, since “deed is the principal thing,” the actual bringing of the rain on the 7th of Cheshvan is the most important part. The greatness of the sixth of Cheshvan then is that it is the eve of and preparation to the 7th, when the rain begins to fall. Moreover, since all the days of the week are blessed from the preceding Shabbos — and this year the 6th of Cheshvan is Shabbos — it follows that not only is the sixth the “eve” of the 7th, but it also provides the strength and blessing for the rains on the 7th (for the 7th is blessed from the preceding Shabbos which this year is the 6th). 3. On the other hand, the term “flood” is used more than once before our verse of “The rain was upon the earth.” Why then does Rashi ask about the contradiction in terms from the later verse, when he could have asked it from the earlier use of the term (in verses 6,7 and 10). In other words, we have before us a question within a question. Why is the question specifically from the word “flood” used in the “later” verse, and not from its use before our verse; and if the question is from the later verse, why does Rashi ask the question on ourverse? 4. Rashi explains that “He brought them down with mercy, so that if they should repent these should be rains of blessings.” Why does Rashi add the words “of blessing,” when our verse says only “rain?” It would suffice to say “if they should repent these should be rains” (and not flood). 5. Rashi’s words “When he brought them down, He brought them down with mercy” refer to all the forty days stated in the verse “The rain was on the earth forty days.” But, how can we say that during all the forty days it was still possible that “they should repent” — and the rains would then be “rains of blessings” — when after a few days of flood, all people would be dead!? Now, the 40 days in which it takes for the embryo to be formed is not 40 separate things but one concept — the formation of one embryo. Likewise, the forty days of flood are one concept. Each day was not an additional punishment (another day of flood), but rather, onepunishment which lasted forty days. In other words, it was one punishment of flood which expressed itself in 40 days. The reason why Rashi quotes also the words “upon the earth” although it is seemingly unnecessary, is as follows: We may think that the reason for the different usage of the terms “rain” and “flood” is that G‑d brought down “rain,” and “upon the earth” the rain was changed to “flood” (since the people did not repent). Therefore Rashi quotes also the words “The rain was upon the earth” to emphasize that the “rain” was “rain” not just when G‑d brought them down, but also “upon the earth.” Thus there remains the question why the different terms, and therefore Rashi must answer as he does. Rashi writes “But later on it says ‘And the flood,’” although in earlier verses it also uses the term “flood,” because it strengthens the question. Even without the latter verse “And the flood,” there would be the question on this verse (“The rain”) from earlier verses which use the term “flood” — and therefore Rashi answers it on this verse, and not on the later verse.